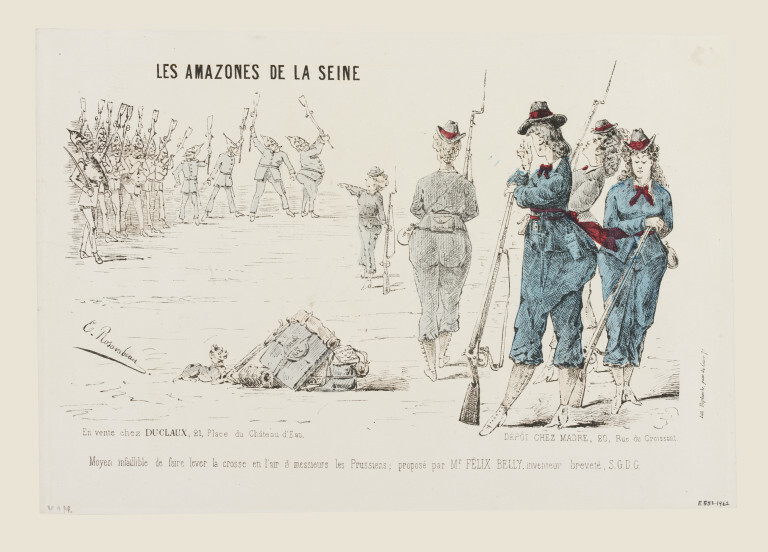 Satirical print showing a group of French women in military uniforms and equipped with rifles and bayonets. In the left background German soldiers lay down their arms, having been defeated by the women. Print from a set of caricatures, broadsheets and illustrations in ten volumes. Each volume is half-bound in red leather, gold tooled and stamped with imperial emblems, title etc. 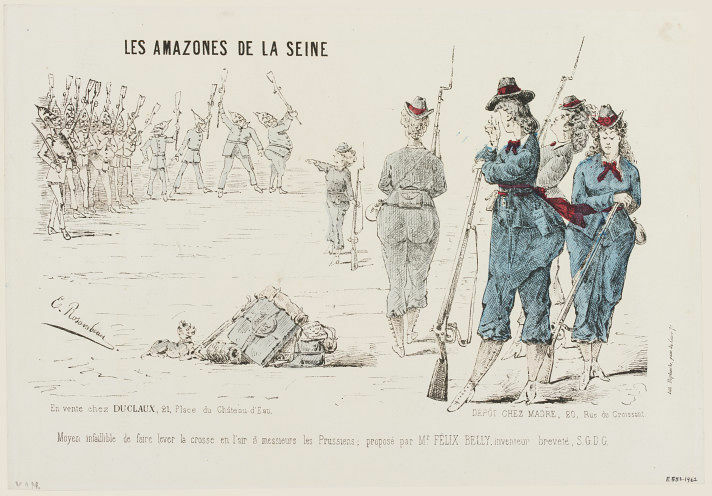 'Les Amazones De La Seine'. 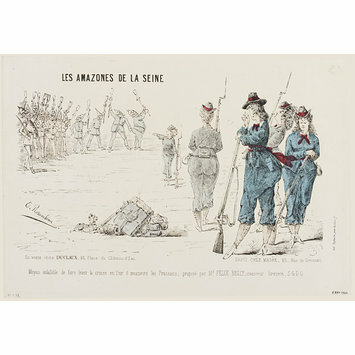 Satirical print by E. Rosambeau showing a group of French women in military uniforms having defeated the German soldiers. Hand-coloured lithograph, France, 1870-1871.